The star system has been revised to include the new 1.05m level as the new “one-star”and to replace the CIC designation for international one-day events with CCI-S (Short). The CCI category becomes CCI-L (Long). 2019 will be the first time the new star system is in force. Blair Castle has the same classes as in 2018, but with the new designations below. 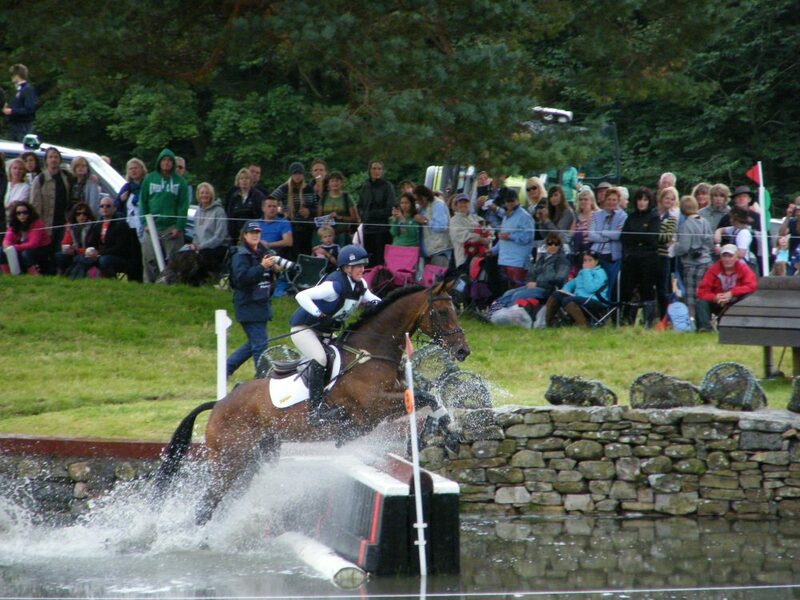 Three-day eventing, or Horse Trials, provides a comprehensive test of all round ability for horse and rider, having been likened to an ‘equine triathalon’ and tests the partnership between the two. Despite being called ‘three-day eventing’, the modern sport usually takes place over four days, as the dressage phase takes two days to complete. However, each horse and rider combination will only compete in three phases, on three days, with a rest day on one of the dressage days. The sport evolved from the requirements for a top class military charger – steadiness and elegance on parade, the ability to gallop across country in battle, and then to continue with duties after a strenuous day. These requirements have transformed in to the three modern phases of the sport – Dressage, Cross-Country and Show Jumping. In order to succeed, riders and their horses must be highly skilled in all three disciplines. Known as Concours Complet International, or CCI-L (Long), the modern international three-day event is overseen by the International Equestrian Federation (FEI). Internationally, there are four levels of three-day event competition, rated by ‘stars’. Blair Castle is run at CCI2*-L, CCI3*-L and CCI4*-L levels. The first three-day event at Blair was held in 1989, as a national two-star competition. The CCI2*-L caters for those horses or riders entering probably their first three-day event, and is at Novice level. The CCI3*-L is for Intermediate combinations, whilst the CCI4*-L attracts riders with Advanced horses competing at the top of the sport, who may go on to greater International success at CCI5*-L and Championship events. There are also international one-day events, known as CCI-S (Short). Blair runs a CCI4*-S, the highest level of CCI-S competition. In a CCI-S, the dressage always takes place as the first phase but events have the choice to run the showjumping before or after the cross country. At Blair, the showjumping takes place before the cross country, giving an exciting finish out on course! The most important thing to remember is that the scores you see are penalty points, and so the winners will be the horse and rider combination with the lowest score. Competitors must ride the same set series of movements, known as the ‘dressage test’, between markers in a dressage arena measuring 20m x 60m. There are different tests, varying in difficulty, for different levels of competition, and it is up to the rider to ensure they have memorised the correct test and know which movements to perform in which order. This can be easier said than done, as the test may be 7 or 8 minutes long. Dressage is judged by the Ground Jury, of which there are 3 members at CCI4*-L level. The Ground Jury are positioned around the arena, so they each see a different angle. Dressage usually takes place throughout Thursday and Friday, because of the time taken for each rider to complete their test. Each movement of the test is scored out of 10, with the judges looking for accuracy, fluency, balance and suppleness. There are also ‘collective marks’ awarded, again out of 10, for the Paces, Impulsion, Submission, and for the Rider. The marks are all added together, any penalties deducted (for failing to perform movements or for going wrong in the test) and the average of the 3 judges is shown as a percentage ‘good mark’, before being converted to a penalty score. After dressage, the leader at CCI4*-L level will hope to be somewhere around a mark of 40, perhaps under if the standard is very high. Cross country takes place on Saturday. The course is designed to test the speed, stamina, boldness, jumping ability, scope and agility of the horses, and to test the rider’s knowledge of pace, ability to assess and tackle fences, and knowledge and trust of their horse. The CCI4*-L course at Blair is around 6km long, and in 2018 had 26 fences with 42 jumping efforts (some fences are combinations, requiring more than one jumping effort). An ‘optimum time’ is set for the course, calculated by measuring the course distance and working out the time based on a speed of 570m per minute. The final phase of a CCI-L, taking place on the Sunday. All horses remaining in the competition undergo a veterinary inspection, or ‘trot up’, on the Sunday morning to make sure they are in sound health and ready to show jump. Jumping takes place in the main arena, over a set course of knock-down fences. At CCI4*-L level, the fences reach a maximum height of 1.25m. Whilst this is much smaller than for ‘pure’ show jumping, it is important to remember that event horses, trained to gallop over fixed timber, often have little respect for knock-down poles and, combined with their tiredness from the cross-country the day before, this can make show jumping the most challenging and daunting phase for many event riders. Jumping takes place in reverse order of merit, meaning the rider in first place after cross country must hold their nerve and jump the final round of the competition to secure victory.